The petitioner has contended that certain information "establishes the involvement of an alleged foreign hand in the assassination of the Father of the Nation" Mahatma Gandhi on January 30, 1948. New Delhi: Narayan Dattatraya Apte was hanged for the murder of Mahatma Gandhi along with the main assassin, Nathuram Godse, on November 15, 1949. Today, 68 years after that event, a petition in the Supreme Court claims that the identity of Apte remains mired in doubt and seeks reopening of the investigation into Mahatma Gandhi's assassination. Justice JL Kapur Commission of Inquiry, set up in 1966 to unearth the entire conspiracy, had reported Apte to have been in the Indian Air Force. However, Manohar Parrikar as Defence Minister on January 7, 2016, had informed Dr Pankaj Phadnis, the petitioner in the Supreme Court, that "no information related to Narayan Dattatraya Apte being an Air Force officer could be found anywhere". Mr Phadnis, a researcher and a trustee of Abhinav Bharat, Mumbai, who has raised questions about the investigation into Mahatma Gandhi's murder suggesting whether it was one of the biggest cover-ups in history, has annexed the letter received from Mr Parrikar, now Goa Chief Minister, in his petition. The petitioner has contended that "such information establishes the involvement of an alleged foreign hand in the assassination of the Father of the Nation on January 30, 1948." Mr Parrikar's letter states: "I have got the matter examined. I have been informed that the matter was referred to various agencies within the Air Force, MoD History Division as well as to AA at HCI, UK with the request to provide any information pertaining to Mr Narayan Dattatraya Apte." "All the agencies have confirmed that they have not found any records pertaining to Mr Narayan Dattatraya Apte. 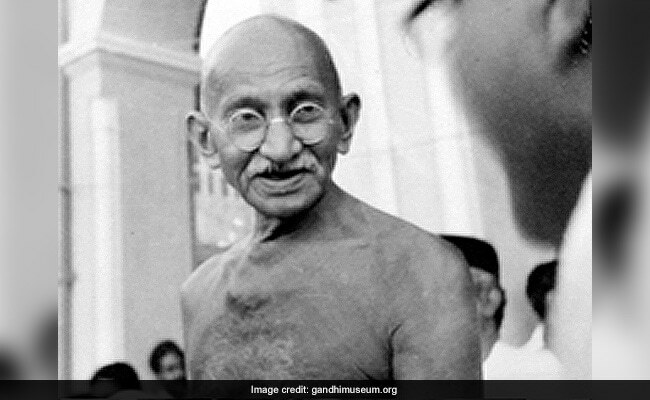 History Division of MoD (Ministry of Defence) even liased with National Archives, Central Secretariat Library and consulted private papers of Mahatma Gandhi's murder trial," it said. The letter also said that the Gazettes of India (Air Branch) for the year 1943-46 were also searched but no information related to him being an IAF officer "could be found anywhere." While seeking the reopening of the investigation into the Mahatma Gandhi assassination case, Mr Phadnis on the basis of Mr Parrikar's letter, has submitted to the Supreme Court that "there is therefore reasonable ground to believe that Apte was an operative of British Force 136, which can be established only after further investigation." The Supreme Court has appointed senior advocate Amarender Sharan as an amicus curaie (person who helps the court) in the matter to examine the petition and documents provided by Mr Phadnis, who has also questioned the 'three-bullet theory' in the assassination of Mahatma Gandhi. He has raised question whether there was a fourth bullet which was also fired by someone apart from Nathuram Godse? While Godse and Apte were sentenced to death in the trial that was held at the Red Fort, Vinayak Damodar Savarkar was given the benefit of doubt due to lack of evidence on February 10, 1949. There were 12 persons named in the charge sheet. One of the accused had turned approver while five were sentenced to life. Three persons were declared as absconders in the case. Godse and Apte were hanged at Ambala jail on November 15, 1949 after the High Court of East Punjab confirmed their death sentence on June 21, 1949. Inspired by Vinayak Damodar Savarkar, also known as Veer Savarkar, Abinav Bharat Mumbai, which was set up in 2001, claims to work for socially and economically weaker sections with a focus on bridging their digital divide. Mr Phadnis said this case was one which concerned the truth behind the real hand or culprits who performed the dastardly act of Mahatma Gandhi's assassination and also their hidden agenda of derailing the Great Gandhi-Jinnah People-to-People Contact that the Mahatma (Gandhi) had planned to embark upon. This plan was derailed because of the assassination, the consequences of which are being felt even today, he has contended.